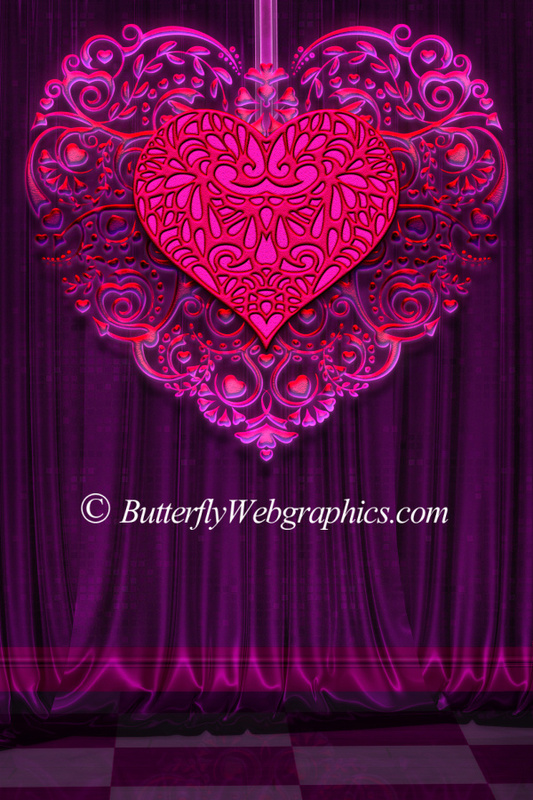 Vibrant backgrounds to help you express your heart. 7 unique backgrounds and 7 “blank” backgrounds. See below for more info. 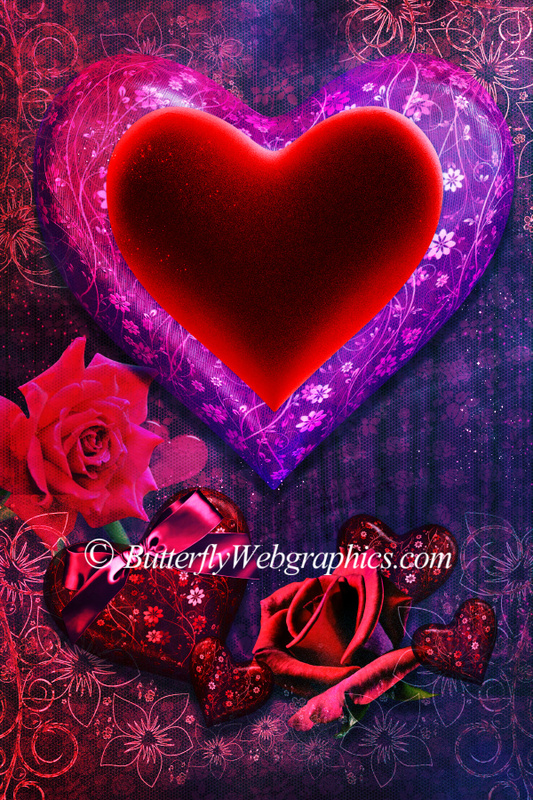 Create a Valentine scene, card, scrapbook page, or other design. 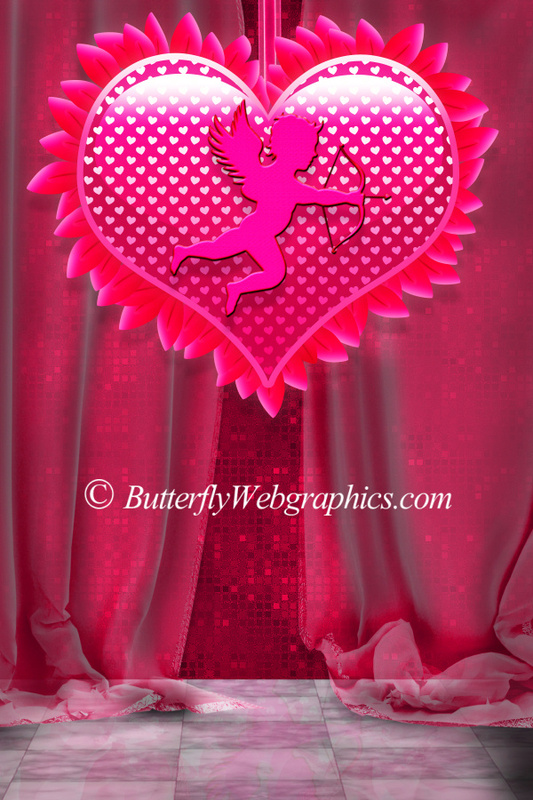 Perfect for a Valentine’s Day character such as a love fairy. 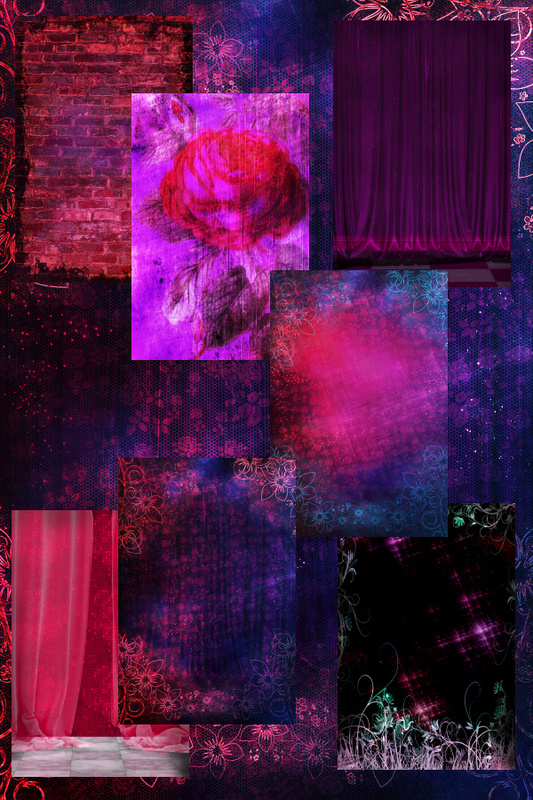 The backgrounds are 2400 X 3600 pixels. Versions without the Valentine theme is included. 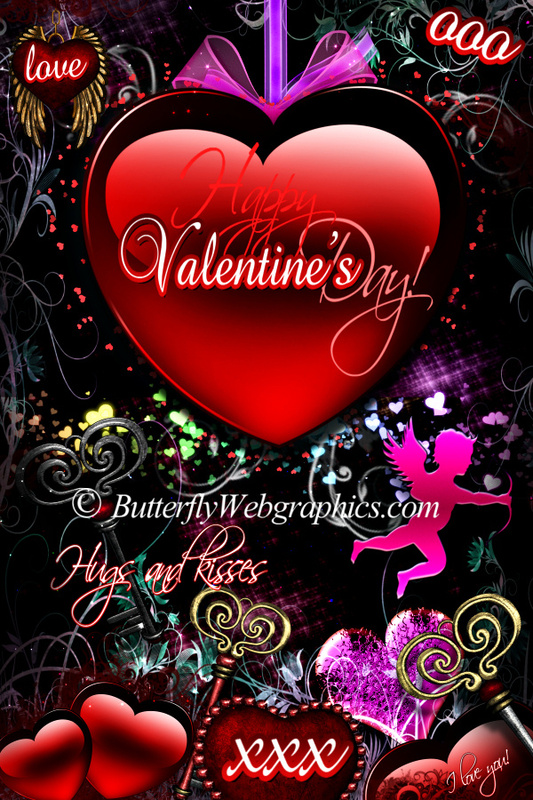 Make it an electrifying Valentine’s Day! A package of electric backgrounds that are nothing short of eye-candy. 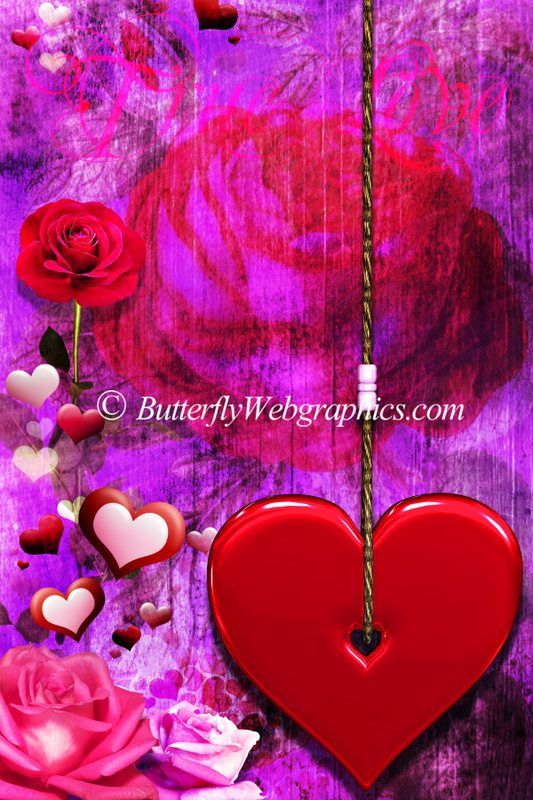 Give your heart with some bright and stunning color this Valentine’s Day and make your love, and your designs, nothing short of electrifying. These are so hot that they might sizzle. There are plenty of vibrant backgrounds to choose from–everything from a sweet vintage rose to a hot neon heart. And best of all, they aren’t just for Valentine’s Day. 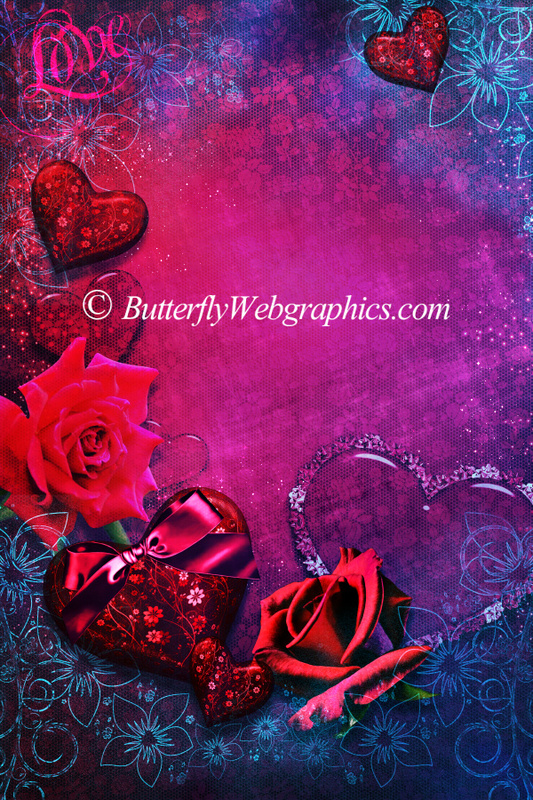 I’ve included a “blank” version of each of the seven backgrounds, which don’t have the Valentine’s Day theme graphics so that you can use them for any type of design all through the year. 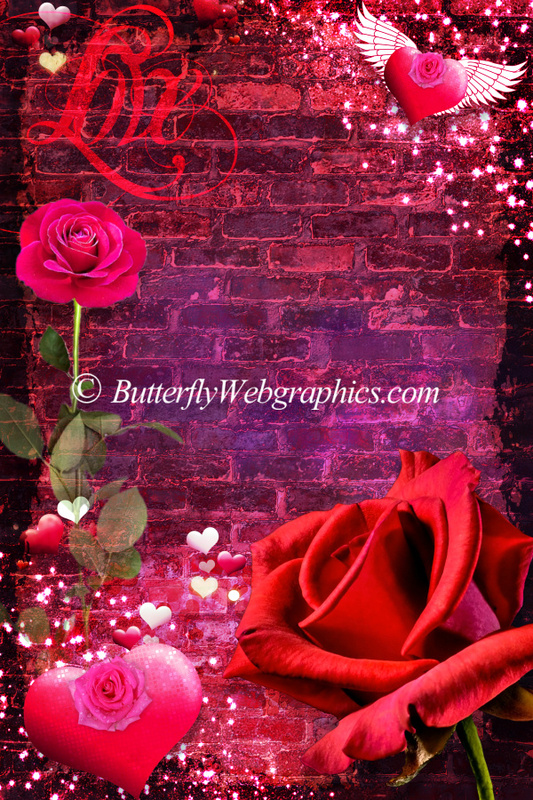 Most of the images I used to create these backgrounds are from my other Valentine’s Day packages. You’ll find more here. This package is three zip files, which are about 56-64 MB.